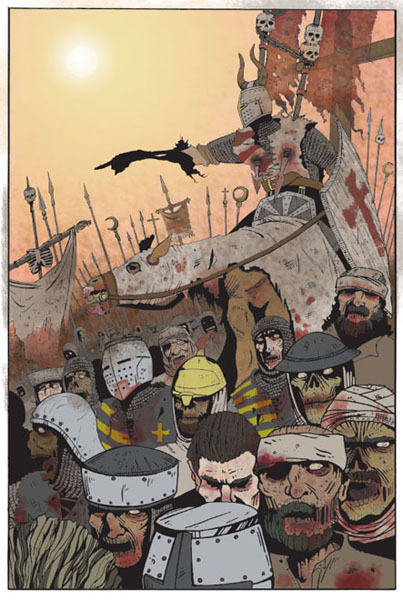 So I was tapped recently by a self-starter who wants to make a zombie comic set during the crusades. Awesome, I’m down! It was originally conceived as a screenplay, but a comic seems more feasible for the foreseeable future. I was one of several artists he commissioned to create a cover. He and his co-writer loved my work. So, now we are preparing the next step of the project which will hopefully include a Kickstarter or other crowd-funding campaign.